Averaging around 700 trekkers in a year, the route is second busiest in Bhutan. 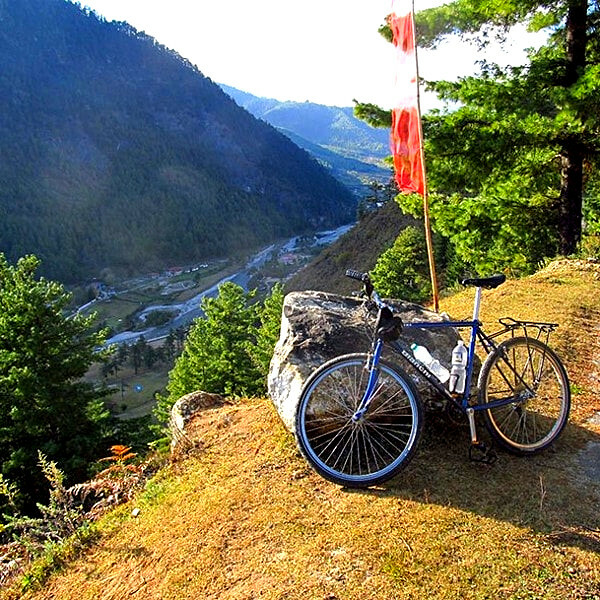 Its name Jomolhari trek has been derived from the highlight of this tour, where you will be camping at the base of Mt. Jomolhari (Jangothang). Throughout this entire trip, you will have breathtaking views of Himalayan mountain ranges and will encounter with numbers of exotic plants and animals. From Paro we will drive till Gunyitsawa, from where the trek begins. Your trek permit is checked and endorsed here at the army post. From this campsite we will have a spectacular view of Mt. Jomolhari, the highlight of this tour. Today is a rest day. Go for short hike around the base camp and sometime you can spot blue sheep (Pseudois nayaur) grazing on the slopes. From here the trail ascends following the Pa Chhu river valley, till we reach our next stopover via Bhonte la Pass (4890m) at Lingzhi. After early breakfast we will start ascending towards Yelila pass (4,930 m). From this pass you will have a beautiful view of Mt. Jomolhari, Tsherimgang and Masanggang. The trail then descends down till we reach our next stop at Shodu. After trekking for about 6 hours through a lush rhododendron forest following Thim chhu river, you will finally arrive at your campsite located at Barshong. The trail from Barshong to Dolam Kencho will lead you through a lush and dense forest of rhododendron, conifer, maples and dwarf bamboos. 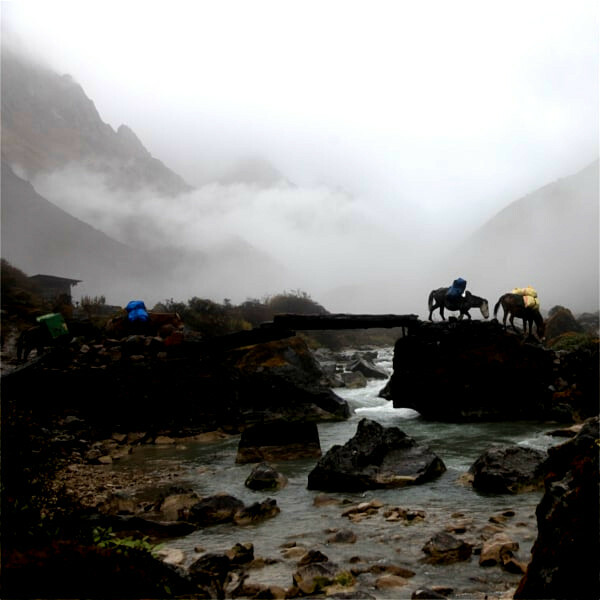 The trail passes through Jigme Dorji National park where you will spot few animals such as Languors. From Dodena monastery hike down till Cheri monastery and at the base of Cheri monastery, will be your driver and vehicle waiting for you. From here drive to Thimphu, enjoy your lunch and towards afternoon drive to Paro. Your wonderful trip to Bhutan comes to an end today. 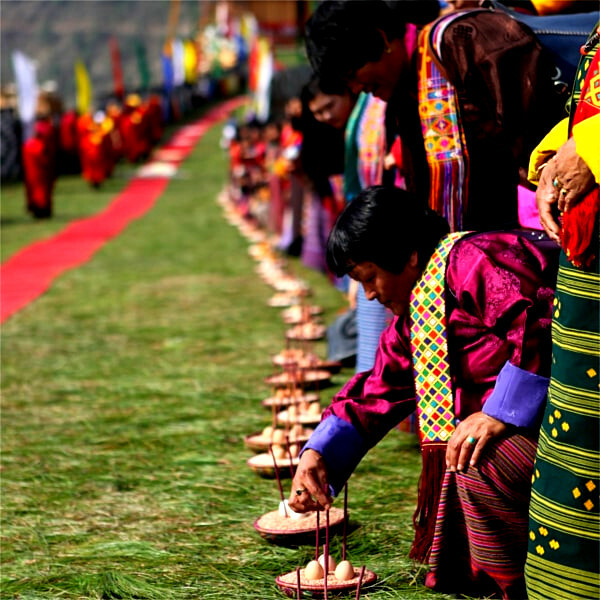 After your breakfast, your guide and driver will see you off at Paro international airport.